One of my friends suggested making hand painted wood signs for the Holidays. Here’s how I did it. I printed out the words I wanted to use. Not having tracing paper, I just took a regular pencil and scribbled on the back side of the letters. 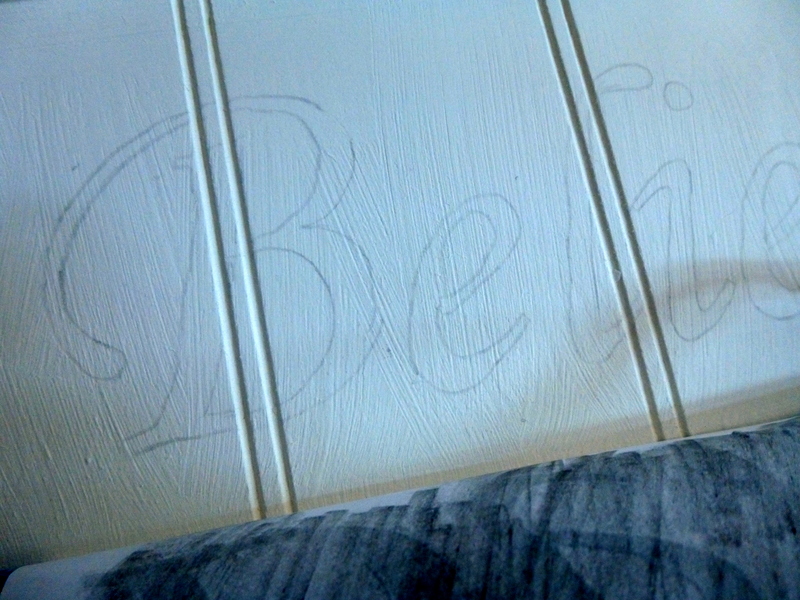 Then I traced the outline of the letters and the pencil mark transferred to the wood door. Woohoo! I should mention that before I painted the letters, I gave the center section a coat of off-white chalk paint. (I still didn’t know what design I was doing at this point.) 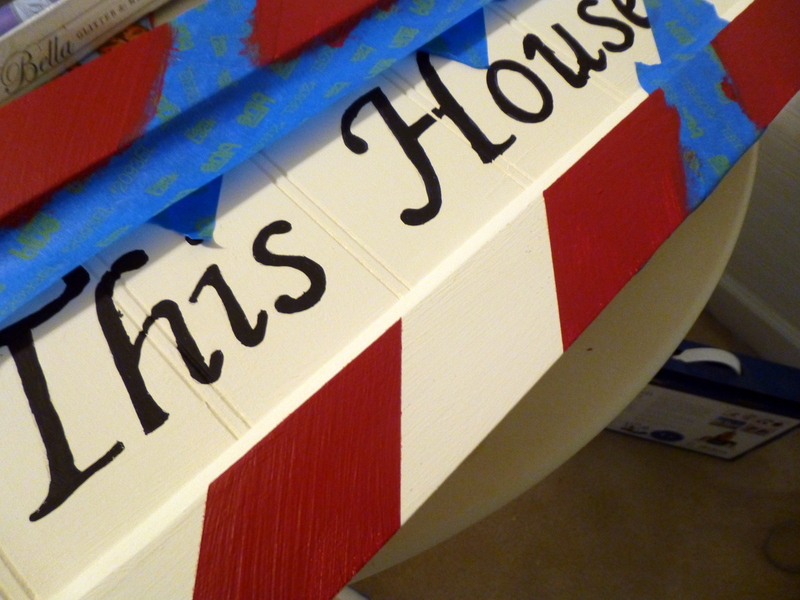 After the letters were painted on, I painted the rest of the front with the chalk paint. Then I taped off diagonals lines with blue tape and painted them red. After the red paint dried, I sanded everything to distress it a bit then I applied a light-colored wax to seal it and age the off-white paint a little more. 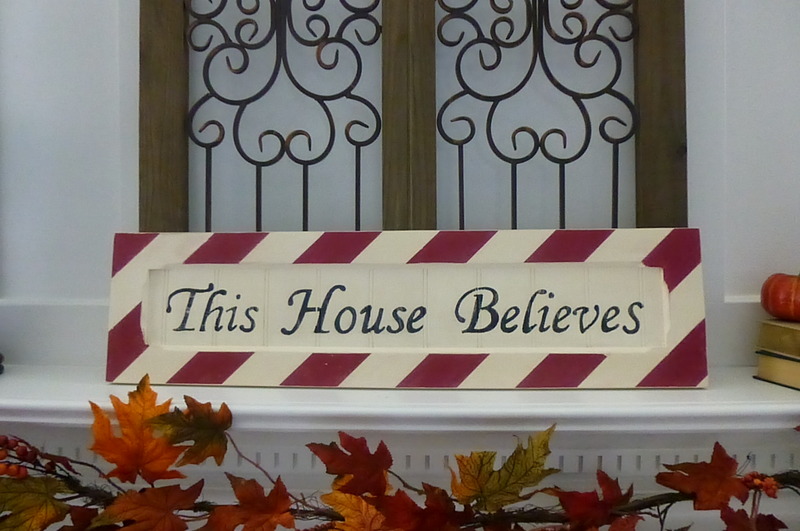 And here it is… This House Believes. 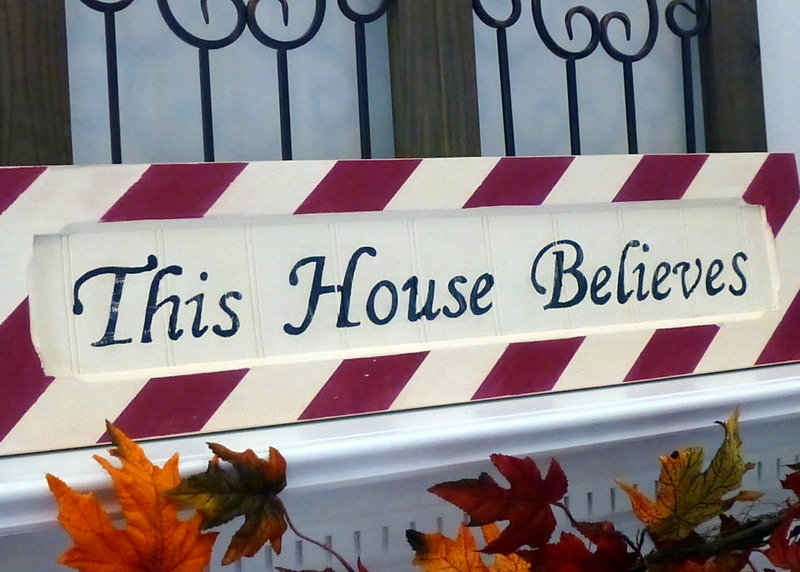 And this house also believes you can Do-It-Yourself. Had to throw that in! 😉 Just FYI… Doors in many different shapes and sizes can be found at your local Habitat Restore. Some used, some new, and they cost very little. 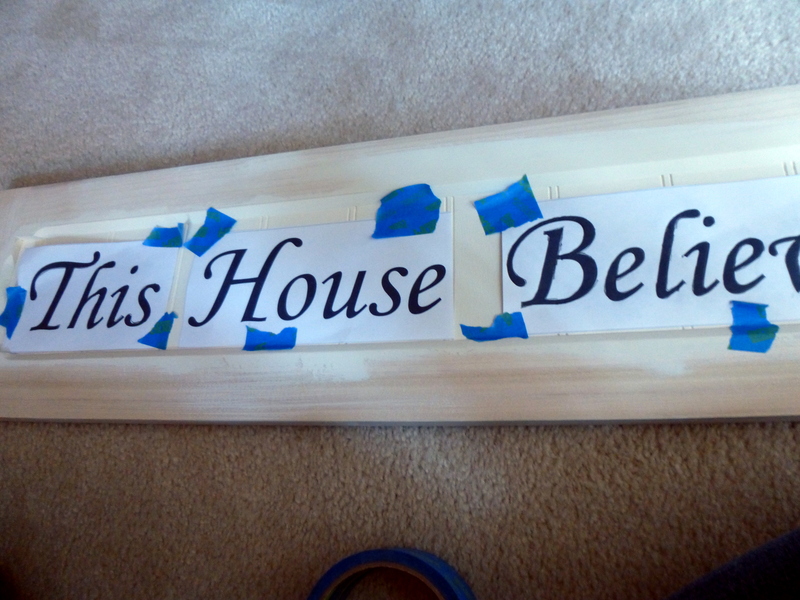 I’m going to put eye hooks in the top edge of the sign and use either ribbon or a small chain to hang it outside the front door. Maybe embellish it a bit with Christmas picks or decorations. This was really an easy project to do! And the first Christmas thing I’ve done so far. I love the Holidays! Have you started to think about decorating for the Holidays yet? Posted in DIY (you can do it! ), DIY Decor, SOS (tutorials) and tagged Brush, cabinet door, Christmas, DIY, Do it yourself, Door, habitat restore, hand painted, handmade, holiday decor, holiday decorating, Holidays, home decor, home deocrating, paint, wood sign. Bookmark the permalink. I never would have thought of the red stripes! I love this sign! My house believes too! 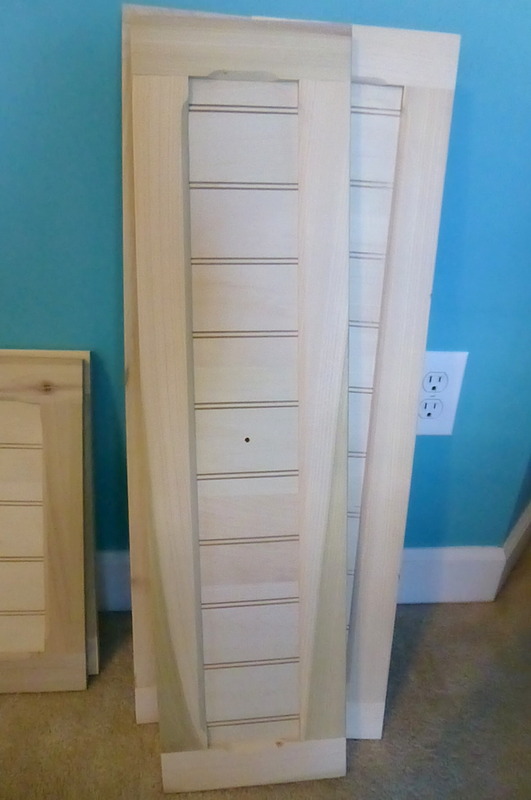 Great idea for those wood doors! Thanks for sharing. I love it too! Well done. I like the message, so simple yet says so much. I think I might make something like it from fabric. What more can I say that everyone else has not already:) This is really cute!